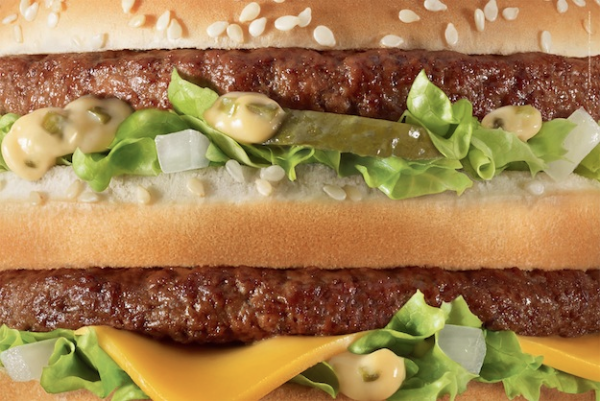 The famous American fast-food chain, McDonald’s, just released a brand-free campaign in France by TBWA. A series of mouth-watering close-up shots for outdoors and print ads, features the one and only Big Mac, golden fries, Filet-o-Fish and creamy sundae. And the brand is so strong and iconic, they don’t even need to show their logo to create “want” (if not “demand”) for their food in consumers mind. What if they don’t show the logo and just keep the jingle? I’m curious to know what rate of consumers associate directly with that. This unbranded campaign also includes some subtle TV commercials using the same visuals. We do not read McDonald’s anywhere but, the logo is presented at the end along with the jingle. It seems like the only goal behind those spots is to prove how strong the brand is and how they barely need to show the golden arches as a signature. Products are not put in front and there is no real drive to consumption.If we were to summarize the script in simple words: It consist of showing people in their everyday life perturbed by the view of unbranded products shot. A pretty interesting campaign aiming at sales objectives through print and outdoor, and brand reinforcement through TV. They have developed a genius marketing mix, an offering for every age and every taste, a price never beaten by competition, and their brilliant distribution channel, there’s at least one venue in every neighborhood. It’s a brand that doesn’t need branding. Super genius!